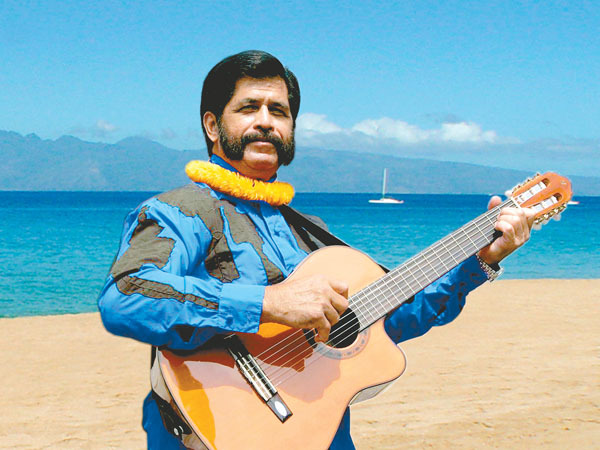 Enjoy nahenahe music and singing with Nā Hokū Hanohano Award Winner and Hawaiian Music Hall of Famer Palani Vaughan on Thursday, Feb. 18 from 2-4 p.m. in the UH West Oʻahu Courtyard. Hoʻokani Kulanui featuring Palani Vaughan will be hosted by Nā Hokū Hanohano Award Winner and UHWO Hawaiian Ensemble Instructor Kamuela Kimokeo. All students, faculty, and staff are invited to sing and play along with an instrument of choice during this epic jam session. Save the date for upcoming Hoʻokani Kulanui events featuring Raiatea Helm on March 17 and Robi Kahakalau on April 21. Hoʻokani Kulanui featuring Palani Vaughan is sponsored by the UH West Oʻahu PIKO Project funded by a U.S. Department of Education Title III grant, and the UH West Oʻahu Music program. Tagged Hawaiian Ensemble, Hoʻokani Kulanui, Hookani Kulani, Kamuela Kimokeo, music, Palani Vaughan, PIKO, PIKO Project, UHWO Music. Bookmark the permalink.